After years of delay in construction, Malaysia’s Bakun hydroelectricity dam is nearing completion and is set to submerge 70,000 ha of the Sarawak rainforest, an area the size of Singapore. Authorities said the dam would begin filling up by the end of January. While 15,000 indigenous people, mostly Penans and Kenyahs, have been relocated, activists warn of confrontation as 900 people are still in the catchment area and don’t want to leave their ancestral land. Non-profit Transparency International labels the 2,400MW dam a “monument of corruption” as there are not many takers for all that power. The government has issued relocation notice for building 12 more mega dams across Borneo even before preparing the masterplan. A group of indigenous lawyers are campaigning to halt the project, but say it is difficult to prove ancestral ownership as oral history of communities is not admissible in court. The UN World Food Programme (wfp) has pulled out of southern Somalia citing repeated threats and raids by militant group, Al-Shabaab. This has put at least one million Somalis at risk of hunger. Rising threats and attacks on humanitarian operations, as well as the imposition of unacceptable demands, such as removing women from all posts and to pay to guarantee the safety of aid workers from armed groups have made it impossible for wfp to continue its aid programme, said the UN body. Non-profit Oxfam said choking of the food aid could trigger a greater instability in the entire Horn of Africa region that faces the worst drought in 20 years. 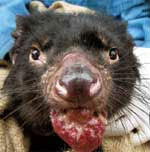 Researchers have identified the cellular origin of the contagious cancer that threatens Australia’s Tasmanian devil, a carnivorous marsupial, paving the way for a new diagnostic test. First documented in 1996, the cancer starts as tumours on the face and mouth and spreads to internal organs, killing the animal in months. Conservationists fear the disease could push the animal to extinction in 30 years as there is no cure. They are not able to isolate uninfected animals as there is no test to detect infection. Conservationists hope the diagnostic test could help them save the animal from extinction. President Lula da Silva signed a legislation requiring Brazil to cut greenhouse gas emissions 39 per cent by 2020, meeting a pledge made at the Copenhagen climate summit. Half the reduction would come from slowing Amazon deforestation that accounts for 60 per cent of Brazil’s emissions and the rest would come from energy efficiency in construction, farming and industry. Greenpeace’s representative in Brazil, Sergio Leitao, accused Lula of double standards. Before signing the law, Lula vetoed provisions that would have promoted renewable energy and phased out energy from fossil fuels, he said. China amended its energy law requiring electricity grid operators to purchase all the renewable energy generated in the country regardless of the costs involved. Failure to do so will result in fines up to twice the amount of loss sustained by the renewable energy operators. The effort by the world’s top polluter is to reduce its reliance on coal that accounts for 70 per cent of the energy use, and to increase use of clean energies like wind and solar power from 9 per cent in 2009 to 15 per cent 2020. The goal is related to a target announced by President Hu Jintao ahead of the Copenhagen summit in December to reduce China’s carbon intensity (emissions per gdp) 40-45 per cent from 2005 levels by 2020. As the New York State is inviting energy companies to mine natural gas from its shale deposits, the US Environmental Protection Agency has expressed concerns regarding potential impact on health and environment. Reacting to an environment impact assessment by the state government, the federal agency said it has serious reservations about the gas drilling in the New York City watershed that supplies drinking water to 9 million people. The state government says the Marcellus Shale formation contains 15 trillion cubic metres of natural gas—enough to meet the country’s demand for over a decade. Critics say to extract gas in shale, a sedimentary rock formation, the industry uses a process in which a mixture of water and chemicals is pumped into the formations under high pressure, cracking them and releasing the gas. The fluids could contaminate the water supply. President Nicolas Sarkozy’s government is rewriting a plan to tax all sources of carbon, from industries to houses, after France’s constitutional court rejected the move saying it is unlawful. The court, which rules on the validity of laws, objected on the grounds that the the tax net exempts 1,000 industrial giants on the basis that they were covered by EU’s emissions trading scheme. This would exempt 93 per cent of industrial emissions, it ruled. The plan, aimed to cut carbon emissions, was to go into effect on January 1. At US $24 per tonne of carbon emissions, the tax would have earned the government US $3 billion a year. Sarkozy has vowed to put in place an amended carbon tax by July. As the world’s biggest gold mining corporation, Goldcorp, winds up its operations in Honduras after decade-long mining, the government has initiated investigation into allegations that the company has contaminated the valley with cyanide. Citing a study by UK’s advocacy group, Cafod, communities in the Siria valley said the Canadian company used the hazardous cyanide leaching method to extract gold even from the low-grade deposits. Its opencast mine released highly acidic and effluents laden with cyanide, polluting the valley’s land and rivers and killing livestock. Most people in the area now suffer from skin, respiratory and gastro-intestinal disease, the communities said in their petition to the government. Cafod’s study also found Goldcorp used excessive water, 800 litres a minute, for mining as a result 15 of the 18 riverbeds in the valley have dried up. The inquiry comes at a time when companies are exploring fresh gold reserves in Honduras. A Dutch court has agreed to hear a lawsuit filed by farmers from three Nigerian villages against Royal Dutch Shell. The farmers from the oil-rich Niger Delta claimed leaks from Shell’s oilpipes damaged their farms and waterbodies. They brought the case to the Netherlands after several failed attempts to address the matter in Nigeria, where the company has influence over the government. Shell had earlier disputed the court’s jurisdiction over its activities in Nigeria. Shell contends the spill occurred when militant groups damaged the pipelines. “Industrialization of coca interests us,” said Bolivia’s president Evo Morales. His government is supporting a plan to produce soft drink from coca leaves—the source of cocaine—in line with its policy to foster legal application for farming and processing the Andean shrub. 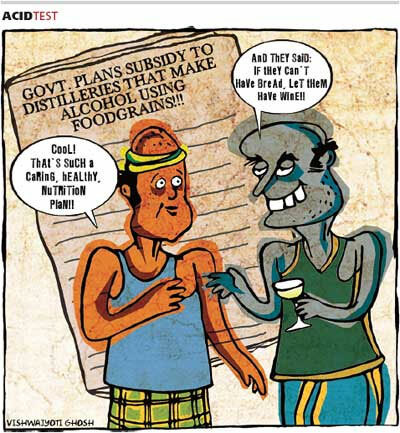 Though the government is yet to decide whether to enter a joint venture with the private company that has proposed the plan, several at a recent cabinet meeting suggested to name the beverage Coca Colla. Bolivia, like neighbouring Peru, permits legal cultivation of coca in limited quantities for use in cooking, folk medicine and religious rites. Morales said if the project bears fruit, the land authorized for legal cultivation of cocaine would be expanded from 12,000 ha to 20,000 ha.